The Chinese authorities have issued a statement dismissing any possibility of the Dalai Lama returning to Tibet, following an indication made by the Dalai Lama that he was in contact with Chinese officials regarding a historic pilgrimage. The Chinese authorities furthermore urged the Dalai Lama to give up his position as the spiritual leader of Tibetan Buddhism. China has dismissed the possibility of the Dalai Lama's return to Tibet, days after the exiled spiritual leader indicated he was in contact with Chinese officials over a historic pilgrimage. "Our position on the Dalai Lama is consistent and clear," Chinese foreign ministry spokesman Hong Lei said at a regular briefing. "What he needs to do is not make a so-called return to Tibet but give up his position and conduct on splitting China. This will do good for him." Now aged 79, the Dalai Lama has been exiled from Tibet since he fled a failed uprising in 1959. 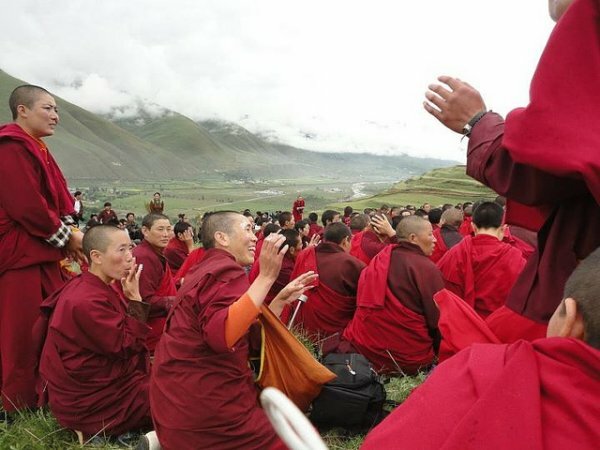 China has since condemned him as a "dangerous separatist", yet the Nobel laureate spiritual leader, who retired from politics in 2011, maintains that he wants only greater autonomy for Tibetan areas in China. In an interview with AFP at his base in northern India last week, the Dalai Lama was asked about the possibility of going back to his homeland. Contacts had been made with Chinese personnel, he said. "Some Chinese officials, for example the deputy party secretary in the autonomous region of Tibet, he also mentioned the possibility of my visit," he said. "It's not finalised, not yet, but the idea is there," he added during celebrations to mark 25 years since he won the Nobel Peace Prize. The Dalai Lama has long expressed a desire to visit Wutai Shan, a mountain in northern China considered sacred by the country's Buddhists. The comments were the strongest suggestion yet of a thaw in relations between China and the exile. Last month, an anonymous blog post appeared briefly on a Chinese-run website describing the Dalai Lama's return in positive terms, before it was taken down. But the Chinese foreign ministry's comments, while neither confirming nor denying that contacts have taken place, indicate that publicly China is maintaining its hardline stance towards the monk. China's ruling Communist Party has increasingly put pressure on foreign governments not to hold official meetings with or grant visas to the Dalai Lama, or risk facing economic consequences. The latest country to bow to such pressure is South Africa, which the Dalai Lama has accused of "bullying" by failing to grant him a visa to attend a summit of Nobel laureates in Cape Town. The summit was later cancelled.